sharing this page on facebook by clicking on the little . joining DeRidderRealEstate.com with the sign up form or the facebook link below! or join using your email address! 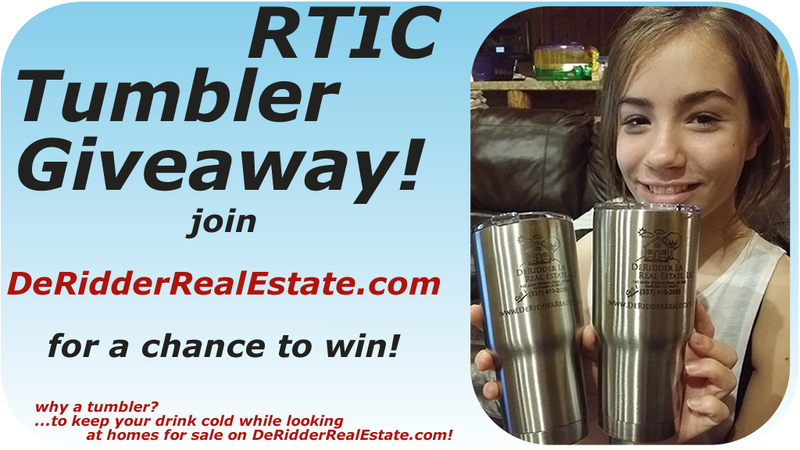 By creating an account not only will you be entered in our drawing for a chance to win this RTIC Tumbler, but you will be notified of any other cool things we do in the future! (and we have a lot up our sleeve) With a free account on DeRidderRealEstate.com you can browse real estate listings and add properties to your favorites. Then in your account you can compare listings side by side, and set up alerts so you can be notified when homes come on the market that meet your criteria. To take it a step further you can add homes to your wish list that aren't for sale. When homes on your wish list come onto the market you will be the first to know! your house under contract in 30 days or we're fired! 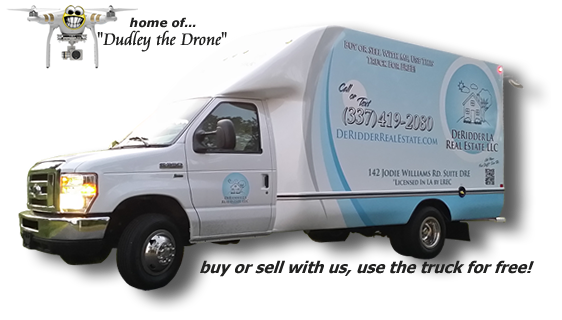 aerial pictures included with your listing!